TThe breathtaking Valley of a Thousand Hills is an exciting component of Durban and South Africa's province of KwaZulu-Natal – the Kingdom of the Zulu. The diverse area combines luxurious, laidback country living with an ancient, indigenous culture. The Valley has been home to the Zulu people for centuries, with many continuing to practice and live their unique traditional lifestyle. This is one of those few holiday destinations that has something for everyone – unspoilt nature, wildlife, magnificent scenery, wining and dining, and warm country hospitality, just a half an hour's drive from the centre of Durban. The area is named after the thousands of hills that tumble down to the mighty Umgeni River, which flows from the distant Drakensberg Mountains to the warm and inviting Indian Ocean. You should take your time in this beautiful part of the world so you can explore and enjoy as much as possible. Close to the beautiful beaches of the Indian Ocean as well as the KwaZulu-Natal Midlands, on the crest of the hills overlooking a valley of leafy suburbs and village centres with a year-round holiday climate of warm summers and cool winters, this area beckons for a visit. TThe Umgeni Choo-Choo follows in the tracks of pioneer wagon trains dating back to the 1830s. TThe villages offer the creature comforts one would expect from a holiday destination, including spas, B&Bs, fine dining, sophisticated shopping centres, outdoor adventure and local arts and crafts unique to the area. Conveniently located midway between the coastal hub of Durban (now known as eThekwini) and the provincial capital Pietermaritzburg, the region is ideally suited to a lazy day browsing through the many arts, crafts, collectibles and curios found here. TThe world-famous Comrades Marathon runs through here in June and the Amashova cycle race follows the same route in October. The raging Umgeni River in the valley below is the testing ground for participants in the gruelling Dusi Canoe Marathon every February. This region is also home to the 1000 Hills Chefs School, one of the country's top culinary schools and training ground for a number of the world's top chefs; bespoke wooden furniture by Shelldon; the 1000 Hills Bird Park and the early Saturday morning Shongweni Farmers' Market in Assagay. There are activities from morning to noon – so make sure your energy levels are high and ready. For generations, the Zulu people have lived in and around the valley, and no visit is complete without a trip to one of the Zulu cultural villages. 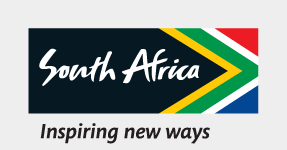 Here you can gain insight into the culture and traditions of one of the largest of South Africa’s cultural groups. Traditional dancing and cultural shows are showcased at Phezulu Safari Park, while crafts and curios are sold at the 1000 Hills Arts and Crafts Village. MMariannhill Monastery, established by Roman Catholic monks more than a century ago, boasts striking architecture and an art gallery, while the Umgeni Choo-Choo steam train departs from Kloof Station on the last Sunday of every month and winds through the Valley to Inchanga for lunch before returning home. The nature reserves of Assagay, Springside and Krantzkloof Gorge offer respite from the bustle of the modern urban lifestyle, but the adventurous might prefer paragliding or rock climbing at Inchanga and Monteseel, or mountain biking at Giba Gorge Mountain Bike Park. From the establishment of European settlers to the vibrant Zulu culture, which gives the area its distinctive identity, the Valley of a Thousand Hills has a rich heritage.